Getting the best running shoes for overpronation was a great decision, as it gave me the freedom to run without limits. But I know how difficult it can be finding the right fit for you since we all have our individual needs. That’s why taking your time and research is crucial, so you get your money’s worth and reap its benefits. However, what are the best running shoes fit for you if you’ve got overpronation? I did the research for you to help you out, so read on to check out the authentic reviews on the best running shoes for overpronation! Before we get into investing in running shoes for overpronation, what is overpronation in the first place? Pronation is the feet’s natural way of moving when running or walking from side to side. This happens when your weight is transferred from the heel to ball of your foot when taking a stride. It also happens while you’re standing, which refers to how your foot rolls inward, towards your arch. Because of overpronated feet, it increases the risk of developing various injuries. This is due to the disruption of your body’s natural alignment, increasing impact as your feet strike the ground. It affects runners most of all or those who take in sports that pressure your feet. Fortunately, there are treatments to prevent such injuries if your feet overpronate. That’s why it’s also important to keep your feet protected with the right shoes and posture! When diagnosed with overpronation, you’ll be recommended stability shoes for normal and athletic use (if needed). Stability shoes can help keep your feet firmly to place, which is necessary for those with overpronation as they usually have very flexible feet. Depending on your arches and intensity of your overpronation, you’ll need stability or motion-control shoes. Those with overpronation require shoes that keep your feet in place and improve your posture for safer and improved runs. Because of this added support (which normal running shoes don’t usually have), your overpronated feet stay in better positioning as you run. It allows your feet to push off evenly and land comfortably, providing a more natural motion as you run. Stability or motion-control shoes are made for those with overpronation, encouraging your feet to run properly. It provides the protection your feet need from injuries and pain as you run, which is common for those with overpronation. Instead of focusing on keeping your feet pain-free because of your shoes, you can focus more on your positioning. 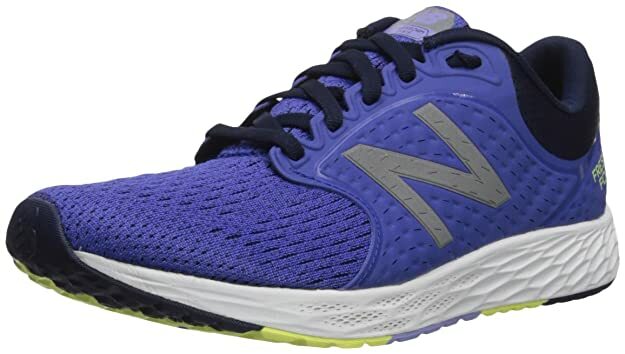 With proper cushioning, ventilated mesh uppers, and other comfortable features in quality running shoes, you won’t have to worry about your feet feeling hot and stuffy as you run. You can enjoy your runs without the pain and discomfort because of the soft feel it has. That way, you’re able to run and accomplish goals better. Quality running shoes are made of the excellent materials that are built to be used anytime anywhere. Because of that, they can last for at least hundreds of miles without fail, keeping your feet supported for long runs and sprints. It’s what makes them such a wise investment rather than continue to replace and spend more on multiple shoes! 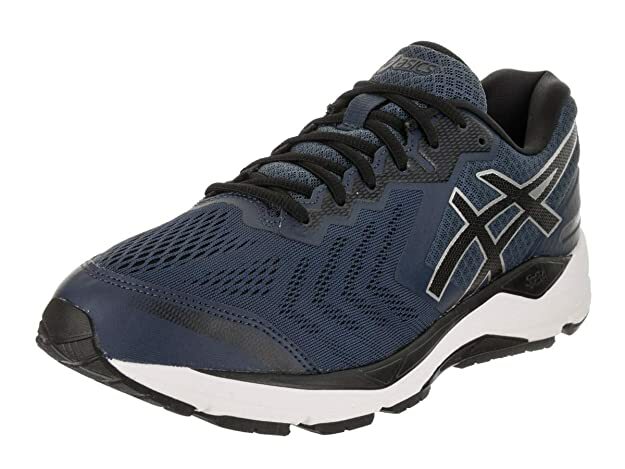 What makes the ASICS Gel-Foundation Running Shoe my best choice is its sleek design and excellent material. It’s really made for support and excellent stability which makes my running even better despite the overpronation. Plus, it’s rugged look really makes me feel more confident as I run. What makes this shoe the top choice is its dynamic cushioning and sound stability. 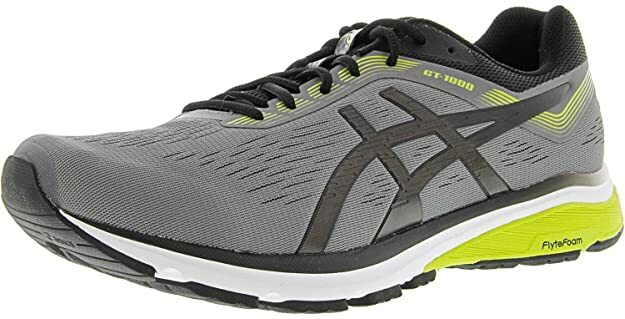 You can really feel just how comfortable AND stabilized this shoe is, made of a gel-foundation exclusively from ASICS. As I ran with these shoes, I didn’t experience much discomfort and was able to focus more on my running stance as my feet began to get into a better rhythm. It’s perfect for overpronation and flat feet with its wide toe box and firm soles. For walking or running, this is truly a quality shoe to consider. Nike is really well-known for its excellent sports apparel and products, and the Zoom Structure is definitely a must-buy! What I love most about it is the advanced technology that makes it supportive for those with overpronation. I haven’t felt any pain or discomfort even after over a year of using it! It’s made with deep flex grooves for better traction as you run, as well as the crash pad which protects and comforts your feet with the better cushioning. The shoes are also water-repellent, so you’re able to use it wherever you go regardless of the weather or surface. This is an all-around shoe though best made for high-speed racing, offering the slip and water-resistance to keep going with no pain. If you want something built to last and can offer amazing support, then go for the Brooks Ravenna. It’s made of the excellent mesh and soles, and it enables me to run for hundreds of miles while it still works the same. Even after using it for over a year, it continues to feel just as good as if they’re almost brand new! These shoes feel great and are pretty smooth as you run, and I don’t feel any pain during and after using. It doesn’t make any noise as well and runs well on most tracks, though I haven’t tested it on wet surfaces yet. Furthermore, the shoes itself are comfortable and lightweight, so I have no problems with running fast or in long distances with it. ASICS is back on the list again with the GT-1000 running shoe, best made for its comfortable material. 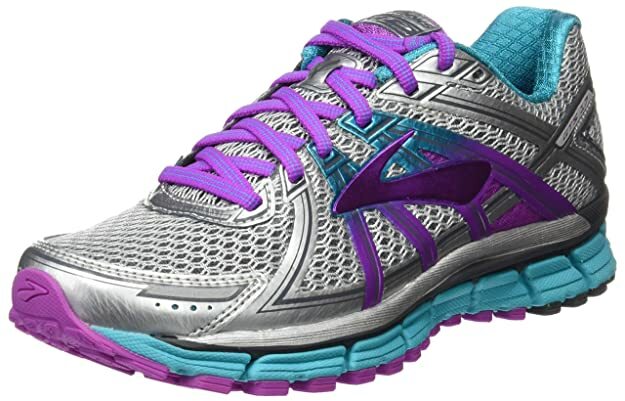 It has the excellent mesh upper that’s breathable and well-ventilated, keeping my feet cool as I run. 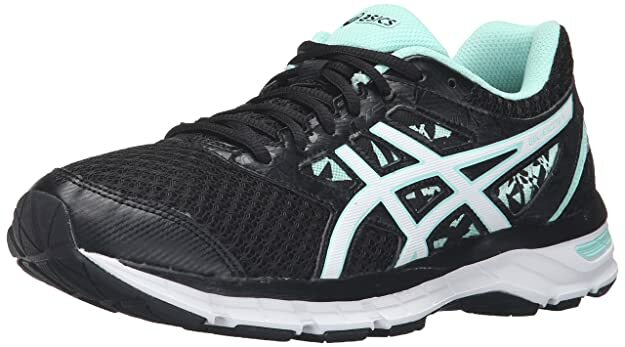 Besides that, the shoes also have unique ASICS material and technology that makes it comfortable AND supportive. These shoes have the SPEVAFOAM, which is a soft platform and cushioning to improve comfort as you stride. It also has an Impact Guidance System technology to enhance your feet’s natural gait as you run or walk. As I run with the shoes, I’ve had no problems with running longer distances and hot days. Overall, these go all out and give me everything I need in a shoe, making the pair worth the purchase. 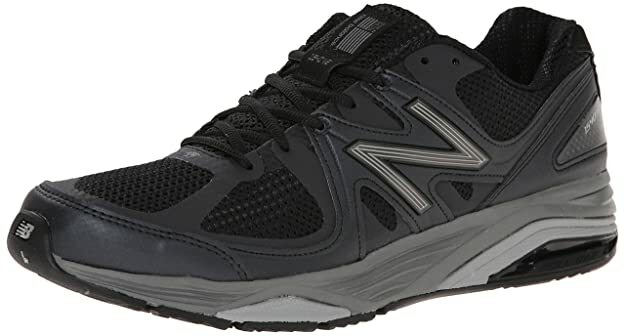 The New Balance M1540V2 Running Shoes are simple and do the job if you want the accurate fit and the comfortable feel. 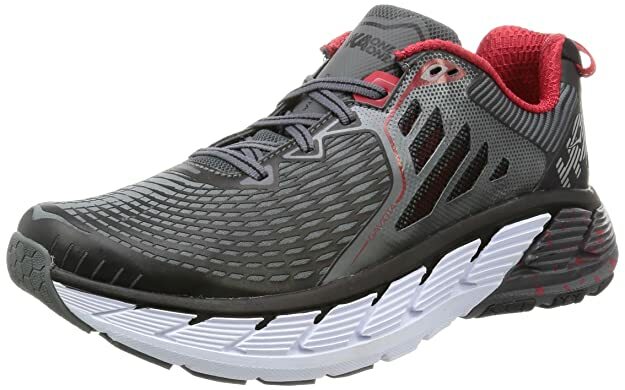 This is a motion-control running shoe, so expect it to be a bit firmer than others, but it does hold your feet in place and perfect for those with overpronation. However, it’s softer compared to other motion-control shoes as it has the padded cushions all around and a breathable mesh tongue. Besides my top choice, this has been exceptional in reducing, almost removing, all types of pain around my feet. I can feel that it’s made to protect my feet and I’ve never experienced any injuries, small or big, as I ran with these. But again, take note that it’s firm so if you want shoes that are ultra soft, it may take time for you to get used to this. The Hoka One One Gaviota is great if you want something both supportive and pain-relieving. Granted, it isn’t the softest and most cushioned, but you really do get the superior support made for overpronation. I highly recommend this for those who have overpronation or high arches and require better support to reduce pain as they run. The shoes itself are also lightweight and come with the detailed support, with the 3D puff print frame. The molded ortholite sock liner also makes it a pain-relieving choice, molding to the shape of your feet with quick reactions. 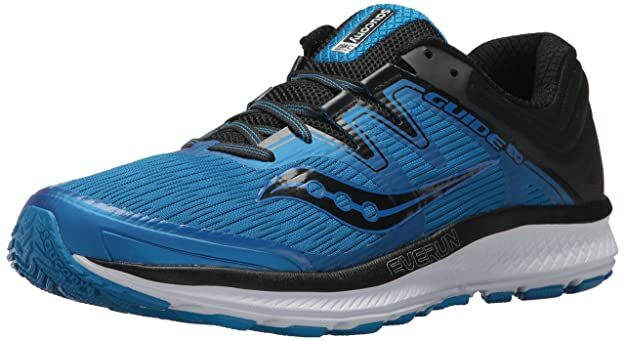 It’s smooth to run with and has the durable make, and for me, they are some of the most comfortable shoes I’ve had that still keep my feet stable. Last but not least, one of the best men’s shoes goes to the Saucony Guide ISO. Not only do I appreciate it for its excellent feel, but for the attractive look it has with it as well! 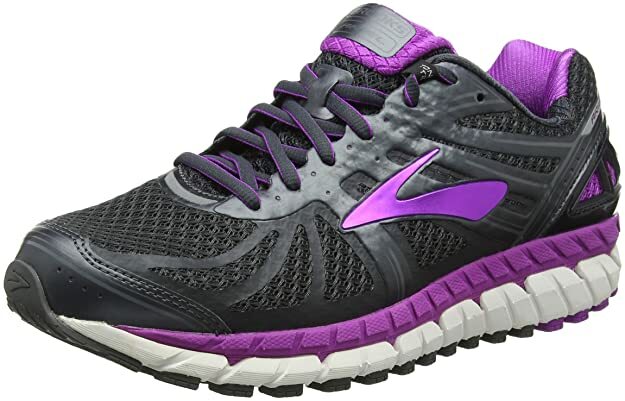 These are stability running shoes that offer the snug fit and adequate support, which have me run well. If you’re on a budget, these shoes are for you, too! 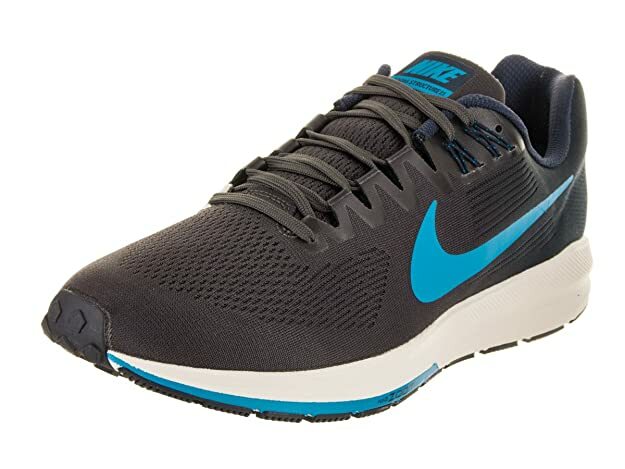 They come at such an affordable price but still offer good performance and the smooth feel as you run. Don’t expect it to be one of the strongest and most resilient, but it does the job well without scrimping on its materials. Overall, I had a good experience with these, you get more than what you pay for but it still has its limits. What I love about the Mizuno Wave Inspire Running Shoes is its combination of all the necessary (and fun!) features. 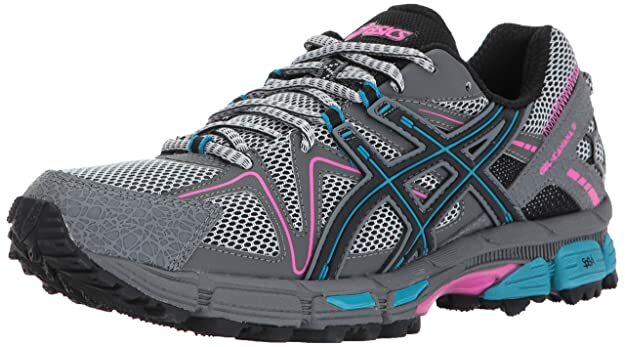 It’s what makes it the top of my list for women’s running shoes if you’ve got overpronation! Plus, the simple yet cute design is what makes it a hit for me, having a mix of rugged but bright colors. These shoes have the excellent fit and stay true to size, ask having the flexible support with its fit-in motion upper. Besides that, it keeps me comfortable with its unique Cloudwave feature, which has the lightweight foam yet soft and stable, keeping my feet protected and free from pain. With all that in mind, it’s a really neat buy, especially because it’s helped a lot with my overpronation! All in all, it’s got the design, comfort, and support, as well as the durable feel. Definitely deserves to be my top choice and worth the purchase for anyone looking into shoes for overpronation. For those focusing on affordability without scrimping on the materials, you’ll like the New Balance Wzantbb4. It’s simple yet with the strong build that has you feel that you got more than what you paid for. But what I love most about it is its durability and support made for high-speed racing, perfect for sprinters like me! This is because the shoes come with a Fresh Foam Zante v4 exclusively made for New Balance. With the soft and lightweight foam, you can train and run better without it weighing too heavily on your feet. Plus, the breathable mesh keeps my feet cool, supported, and comfortable the entire time. Overall, a good price to pay for when you need something for races and comfort. Saucony is pretty well-known around the running world, best for their supportive and versatile shoes. 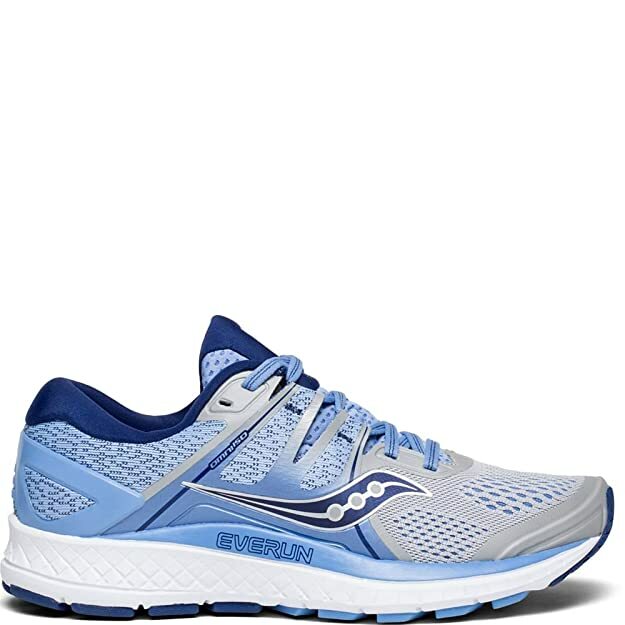 The Saucony Omni ISO is one of these incredible running shoes, made for road or track running. It’s for the support frame technology which has really helped me in terms of overpronation, stabilizing my feet but still offering the flexibility I needed to run better. The cushioning around the shoes are amazing, feeling so soft yet still allowing my feet to feel the ground as I strike it. Because of it, I can run for long distances without feeling heat or fatigue (of course, to an extent). A great buy for its excellent comfort and pain-relieving support, though be wary if you use medical orthotics. 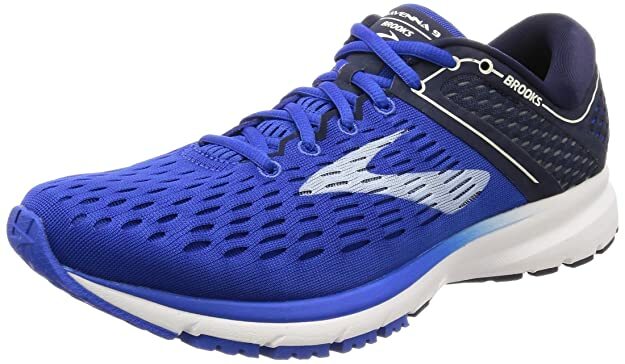 The Brooks Adrenaline GTS Running Shoes have the aesthetic appeal which makes it an attractive buy. But it isn’t only the design that got me, but the balance of both stability and cushioning! These stability shoes have a lot of promise and definitely make my runs even better. Plus, the compliments I get with the colors are such a huge advantage. These shoes come with extra cushioning in all the right areas, keeping your feet stable and comfortable from the soft padding. Each time I strike my feet or meet the ground, I don’t feel any discomfort at all, only the smooth transitions which improve my stance. Overall, a great buy for those with mild overpronation. If you’re looking for something soft yet solid, then I highly recommend the ASICS Gel-Excite. It’s one of the most supportive running shoes I’ve reviewed, thanks to its cushioning system and supportive arch. It even has the removable sock liner for you to be able to put in your medical orthotics to improve your positions and stances. The cushioning system is a great shock absorber, also allowing better and smoother transitioning as you run. Furthermore, it has the high-abrasion rubber, which makes it usable to run anywhere, even the toughest trails! With its good support that lessens the pain and risk of injury, I can say it’s a great purchase. Another amazing shoe model from ASICS, the Gel-Kahana Trail Runner is specially made for the toughest and intense trails. I love it for its versatility though, as I can use it when on the road and it still stays strong despite the amount of pressure put into it. Not only that, but it keeps my feet protected and stabilized as I run, keeping me free from pain and injury. The shoes bounce back well and have a spring to it, also absorbing shock and smoothening my runs. Furthermore, it has the DuoMax Support System, which is especially helpful for those with overpronation, as it improves support and stability. The Brooks Ariel Overpronation Stability Running Shoe is made for those with flat or overpronated feet. It has all the features you need to prevent overpronation and promote better feet positioning when in use! I also like the cool look, which makes me feel more confident as I run. These have truly helped my runs in so many ways, offering the excellent support and stability my feet needed. Slowly, I’m learning how to run normally and I haven’t experienced any issue with these shoes. As long as you know how to care for them well and practice proper running stance, they are built to last and will help you reach goals. Your running shoes should be slip-resistant and able to grip the ground while being as smooth as you run. It should also be the correct fit for your feet for added comfort and stability, maybe even having a wider toe box if you suffer from flat feet. It’s best to invest in shoes which have a bit of space in the toe box, about a thumbnail long. Your running shoes have to have the extra stability and support for overpronation, keeping your feet in place while still being safe to run with. Consider shoes which have added arch support and removable sock liners to accommodate medical orthotics, if needed. Through stabilized or motion-controlled shoes, you won’t have to worry about getting an injury. Besides your support for overpronation, you should also take account of your comfort. Get running shoes which have enough cushioning to protect your feet upon impact and striking the ground. Also, focus on running shoes made of the water-resistant and well-ventilated upper, which protects your feet (and shoes) and has it breathe better. Of course, you should also take account where you’ll be running, as there are different running shoes made for various grounds. Will you be running long-distance or sprints on road, track, treadmill, or trails? Your shoe material and soles may have different materials based on where and how you run to protect your feet! How will I know my pronation level? Overpronated feet land outside your heel, rolling inward excessively, and transfers weight to your foot’s inner edge rather than the balls. Your big toe and second toe are what do most of the work as you run or walk. You might notice your feet tilt inward and there’s extra wear inside your heel and under balls of your feet. What’s the difference between stability and motion-control shoes? Stability shoes are made for runners who suffer from mild overpronation and have a normal arch. They have some motion control but focus more on more flexibility, cushioning, and support. Motion-control shoes are made for those with flat feet or are over 180 pounds, as they may have more intense overpronation. These shoes provide more stability to reduce any risk of injury, having a stiffer heel and upper, as well as adding more support to the arch. How long can I use my running shoes for? Running shoes do wear out in time, depending on the number of miles you put into it and the intensity of your runs. As much as possible, it’s best to replace your shoes after running for 300 to 500 miles. But again, this depends on your shoe quality and material, so it may be more or less than the recommended amount. Can I use the “normal” pair of running shoes? You’re able to use normal shoes for running or walking, though it’s not recommended. This is because even if shoes like these offer support, it isn’t enough for those who suffer from overpronation and makes you prone to injuries. That’s why you need the right stability or motion-control shoes, which keep you safe and comfortable as you run. When is it time to go to the doctor? If ever your overpronation comes to a point that you feel pain every time you walk or run, even after using the right shoes and treatment, it’s time to seek a medical professional. They can prescribe medication, therapy, or other necessary steps to correct your feet’s positioning and pain felt. If you have overpronation, that doesn’t mean you have to continue suffering from pain and discomfort. With good running shoes, you’ll be able to continue reaching your goals and run long distance! They’ve got proper support, the comfortable material, and the strength to last for hundreds of miles to come. Of all the different running shoes tried and tested, the best one for men goes to the ASICS Gel-Foundation. What makes it one of the top shoes on my list is its combination of excellent design and support. It’s also well-made, having the strong materials built to last for hundreds of miles when running. 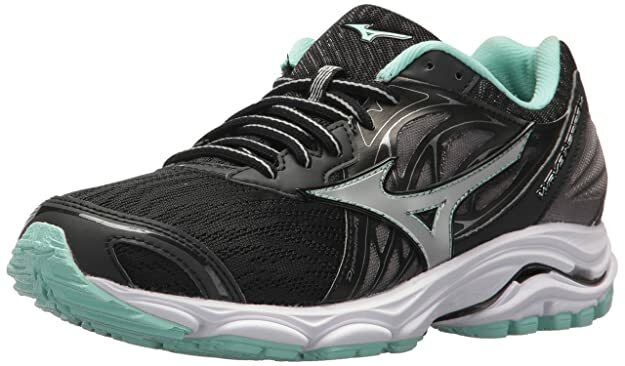 As for the women’s shoes, I highly recommend the Mizuno Wave Inspire, made excellently for running one distance and springs. It offers the lightweight and soft feel, forming to the shape of your feet without effort. Plus, it has a smooth transition as you run, making it an excellent choice for any runner! I hope that this article on the best running shoes for overpronation helped you out. So don’t wait any longer and look ion any of these shoe models now! If you have any questions or want to share your reviews and experiences with any of these running shoes, then comment below. All of your thoughts are much appreciated.